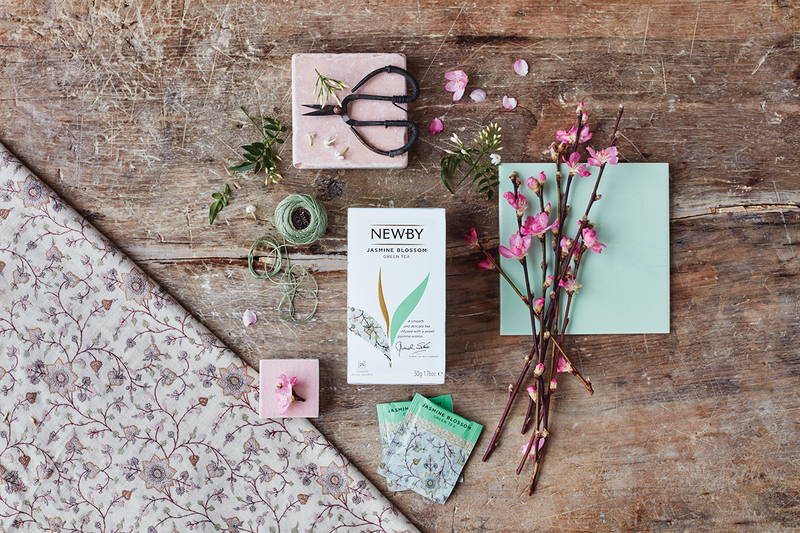 • NEWBY TEA BOUTIQUE CELEBRATES THE FIRST BIRTHDAY WITH A NEW DESIGN OF PACKAGED TEA! NEWBY TEA BOUTIQUE CELEBRATES THE FIRST BIRTHDAY WITH A NEW DESIGN OF PACKAGED TEA! British tea company Newby announced the redesign of one of its most popular lines: a collection of tea bags. The updated design was inspired by the art of handmade craft and an invaluable collection of Indian fabrics. Each of the 25 packs of the collection is decorated with a unique textile ornament, borrowed from a collection of vintage Indian fabrics, until recently owned by the departed wife of the founder of the tea company Newby, Chitre Setkhia. These pashminas belonged to the Sethia family for two centuries and were carefully preserved to this day in their pristine beauty. The color range of each pack reflects the nature of the different varieties of tea: from deep dark green tones for Oolong tea, to soft light green shades, symbolizing delicate green tea. The assortment also features world-famous teas such as Assam and Darjeeling, as well as a number of special blends such as Black Tea with Thyme and Rooibos Orange. 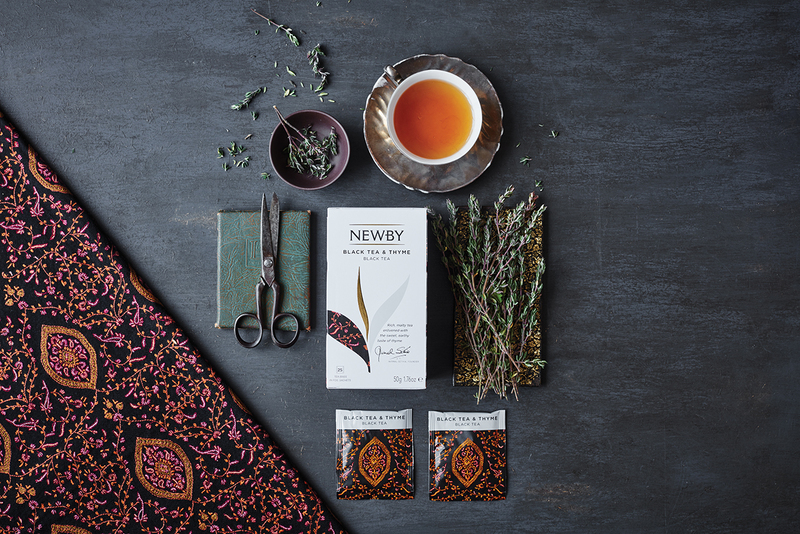 Selected from 5% of tea leaves of the highest quality, in the most favorable harvest season, Newby teas are packaged in individual designer sachets. All Newby teas are blended and carefully stored in the company's own factory, which has no analogues in the world, located in Calcutta, India. Black: Assam, Darjeeling, English Breakfast, Ceylon, Indian Breakfast, Pride of Africa, Earl Gray, Masala Tea, Black tea with ginger, Strawberry and Mango, Black tea with thyme. Oolong and Green teas: Milk oolong, Ginseng oolong, Green Sencha, Jasmine flower, Green Lemon, Oriental Sencha, Moroccan tea with Mint, Earl Green (New). Tizans: Chamomile Flowers, Peppermint, Verbena, Rooibos Orange, Rosehip and Hibiscus, Summer Berries. An updated collection of tea bags will be available at the Newby London boutique in the «Afimall» shopping center since April 20, 2017. • ROMANTIC WEEKEND AT STANDART HOTEL!